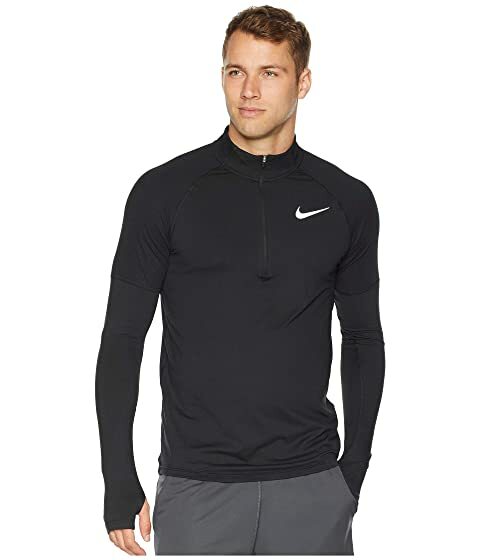 Round out your performance with the Nike® Element Top 1/2 Zip 2.0. 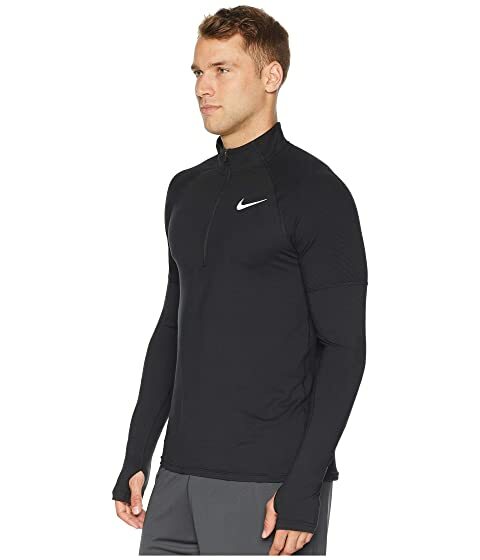 Crew neckline with 1/2-zip closure. 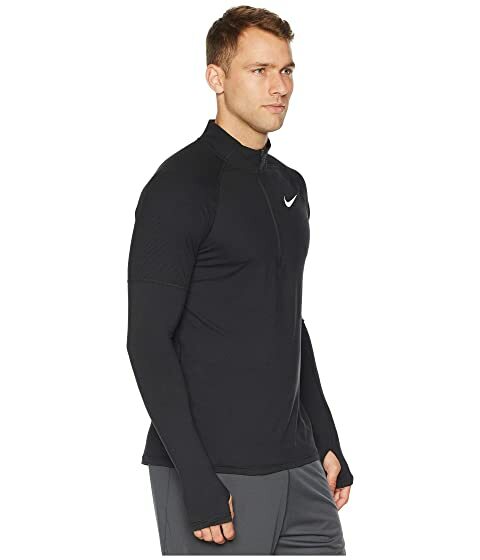 Long, raglan sleeves with dropped shoulders and thumbhole cuffs. Reflective Swoosh™ logo at left chest. 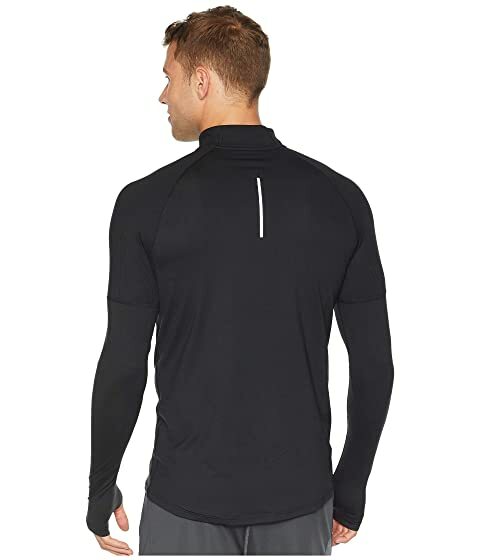 Reflective detail at back for increased visibility during low-light conditions. Straight hemline with zip pocket at sides.